PenPal Schools provides an excellent opportunity for students to social studies knowledge and skills in an authentic, global context through project-based learning! "I was impressed with how thoughtful my students were about their responses, particularly after they learned they had authentic audiences! The topics really hit home." PenPal Schools learning objectives are aligned to a variety of academic standards, including Common Core State Standards, Texas Essential Knowledge and Skills, and the College, Career, and Civil Life (C3) Framework. Read on to see how you can use PenPal Schools learning objectives to assess and improve students' abilities relative to the standards that interest you. Don't see the standards you're looking for? Contact us to request documentation of how PenPal Schools learning objectives align to the standards that your school uses! (C) explain how major river valley civilizations influenced the development of the classical civilizations. (C) compare the factors that led to the collapse of Rome and Han China. 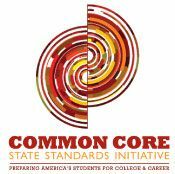 CCSS Grade Level Standards: Identify key steps in a text's description of a process related to history/social studies (e.g., how a bill becomes law, how interest rates are raised or lowered). (C) explain the impact of relative scarcity of resources on international trade and economic interdependence among and within societies. (D) examine the record of collective, non-free market economic systems in contemporary world societies. (D) compare global trade patterns over time and examine the implications of globalization, including outsourcing and free trade zones. Anchor Standard: Economics: D2.eco.3.9-12. Analyze the ways in which incentives influence what is produced and distributed in a market system. (D) create thematic maps, graphs, charts, models, and databases depicting aspects such as population, disease, and economic activities of various world regions and countries. (F) identify the location of major world countries such as Canada, Mexico, France, Germany, the United Kingdom, Italy, Spain, Norway, Sweden, Russia, South Africa, Nigeria, Iraq, Afghanistan, Israel, Iran, India, Pakistan, the People's Republic of China, the Republic of China (Taiwan), Japan, North and South Korea, Indonesia, and Australia. (B) analyze and compare geographic distributions and patterns in world history shown on maps, graphs, charts, and models. (B) identify the characteristics of the following political systems: theocracy, absolute monarchy, democracy, republic, oligarchy, limited monarchy, and totalitarianism. (D) explain the significance of the League of Nations and the United Nations. Anchor Standard: Government: D2.Civ.1.6-8. Distinguish the powers and responsibilities of citizens, political parties, interest groups, and the media in a variety of governmental and nongovernmental contexts. (G) evaluate the validity of a source based on language, corroboration with other sources, and information about the author. Anchor Standard: Gathering and Evaluating Sources: D3.2.6-8. Evaluate the credibility of a source by determining its relevance and intended use. ​(1) History. The student understands traditional historical points of reference in U.S. history through 1877. (2) History. The student understands the causes of exploration and colonization eras. (3) History. The student understands the foundations of representative government in the United States. (4) History. The student understands significant political and economic issues of the revolutionary era. (5) History. The student understands the challenges confronted by the government and its leaders in the early years of the republic and the Age of Jackson. (6) History. The student understands westward expansion and its effects on the political, economic, and social development of the nation. (7) History. The student understands how political, economic, and social factors led to the growth of sectionalism and the Civil War. (8) History. The student understands individuals, issues, and events of the Civil War. (9) History. The student understands the effects of Reconstruction on the political, economic, and social life of the nation. (C) analyze the effects of physical and human geographic factors on major historical and contemporary events in the United States. (3) History. The student understands the political, economic, and social changes in the United States from 1877 to 1898. (4) History. The student understands the emergence of the United States as a world power between 1898 and 1920. (5) History. The student understands the effects of reform and third-party movements in the early 20th century. (6) History. The student understands significant events, social issues, and individuals of the 1920s. (7) History. The student understands the domestic and international impact of U.S. participation in World War II. (8) History. The student understands the impact of significant national and international decisions and conflicts in the Cold War on the United States. (9) History. The student understands the impact of the American civil rights movement. (11) History. The student understands the emerging political, economic, and social issues of the United States from the 1990s into the 21st century. (12) Geography. The student understands the impact of geographic factors on major events. (13) Geography. The student understands the causes and effects of migration and immigration on American society. (14) Geography. The student understands the relationship between population growth and modernization on the physical environment. growth from the 1870s to 1920. (16) Economics. The student understands significant economic developments between World War I and World War II. (17) Economics. The student understands the economic effects of World War II and the Cold War. (18) Economics. The student understands the economic effects of increased worldwide interdependence as the United States enters the 21st century. (19) Government. The student understands changes over time in the role of government. (20) Government. The student understands the changing relationships among the three branches of the federal government. (21) Government. The student understands the impact of constitutional issues on American society. (22) Citizenship. (23) Citizenship. The student understands efforts to expand the democratic process. (24) Citizenship. The student understands the importance of effective leadership in a constitutional republic. (25) Culture. The student understands the relationship between the arts and the times during which they were created. (26) Culture. The student understands how people from various groups contribute to our national identity. (27) Science, technology, and society. The student understands the impact of science, technology, and the free enterprise system on the economic development of the United States. (28) Science, technology, and society. The student understands the influence of scientific discoveries, technological innovations, and the free enterprise system on the standard of living in the United States.